Twelve Don’t Forgets At The Polo Party November 5th! * Courtesy of Troon we’ve added a Hole-In-One contest on the west end of the field this year. Proceeds will benefit Phoenix Children’s Hospital. * A great new way to enjoy the event for all attendees will be Sanderson Lincoln’s Black Label Lounge. Keep an eye out for it near the event’s southeast corner. * A reminder about The Cultural Concert which will start at 4:30 pm in the Mark-Taylor Residential Luxury Living Room tent near the southeast corner of the field. Amidst the backdrop of the Women’s Sunset Polo Match and Scottsdale’s stunning McDowell Mountains you will be able to listen to performances by the Arizona Opera, Scottsdale Philharmonic, a top hip-hop artist and Maestro Hughes, a DJ violinist who’s performed on the Grammys. * Premier Sideline Parking slots are sold out so if “tailgating” is your thing be sure to buy a slot in other Sideline Parking categories soon. * Outside of VIP tents this year we have some great new and returning food options including Kona Grill, Pita Jungle, Crab & Mermaid and the always popular Cold Beers & Cheeseburgers. And thank you to M Catering for always doing a great job elsewhere at the event. * Get your picture taken with a replica of Dale Earnhardt Jr.’s race car on display near the Horsepower Concours, courtesy of Nationwide Insurance, the Official Insurance Provider of The Polo Party. And don’t forget you can see real race cars in action at Phoenix International Raceway on November 13th when NASCAR rolls into town. 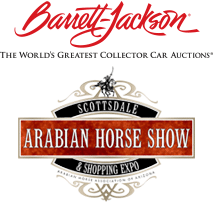 * The event wouldn’t be where it is today without heritage partners like PIR, Neiman Marcus, the Scottsdale Arabian Horse Show and especially Barrett-Jackson. 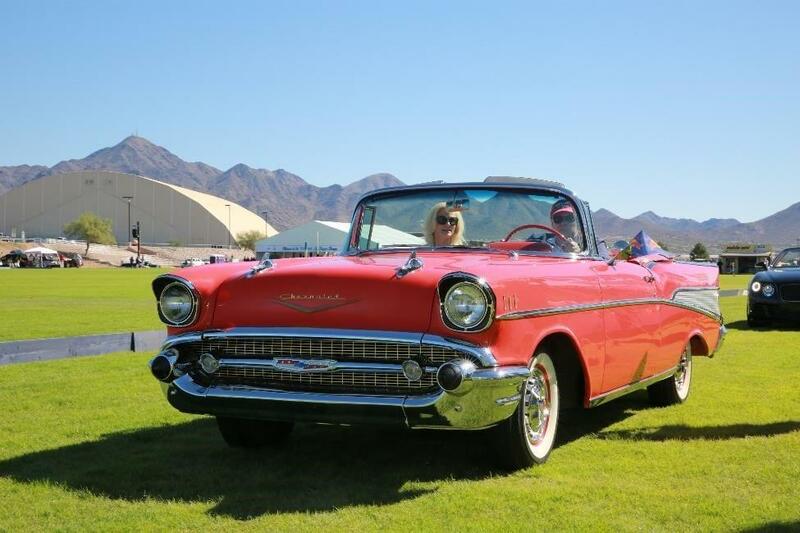 The “World’s Greatest Collector Car Auctions” returns to Scottsdale for its 46th year January 14th – 22nd. To consign your car or register to bid for this extraordinary event visit Barrett-Jackson.com. You can also visit the Barrett-Jackson Collection Showroom year round: Barrett-Jackson.com/showroom. * If you like WestWorld, which is fast becoming Scottsdale’s Central Park, you now have the opportunity to live next to it for the first time thanks to SOHO Scottsdale. Check out these new homes immediately north of where The Polo Party will be at SOHOscottsdale.com. Or even visit their showroom before or after the event. * Last year the Triyar Ivy League Lounge was introduced at the event. There’s nothing like it in the world of polo. And if you thought what Scottsdale’s top owner of nightclubs and bars brought you last year was memorable, we hear there are going to be just a few more people there this year. * Welcome J Levine. Local art house J Levine has taken over this year’s Live Art Auction. We like to think of it as the most beautiful one in the world. And a reminder that all ticket purchases immediately qualify you as a bidder on their over 200 pieces of art that day. Just head to the ArtPolo Pavilion. Click here for more details on the auction. * Welcome Dignity Health, sponsor of this year’s “Stomping of the Divots” during halftime of each match. For many this is the highlight of the day. * Lastly, remember Valet Parking, sponsored this year by the Valley’s #1 Custom Home Builder Cullum Homes, is available right at the entrance to the event. 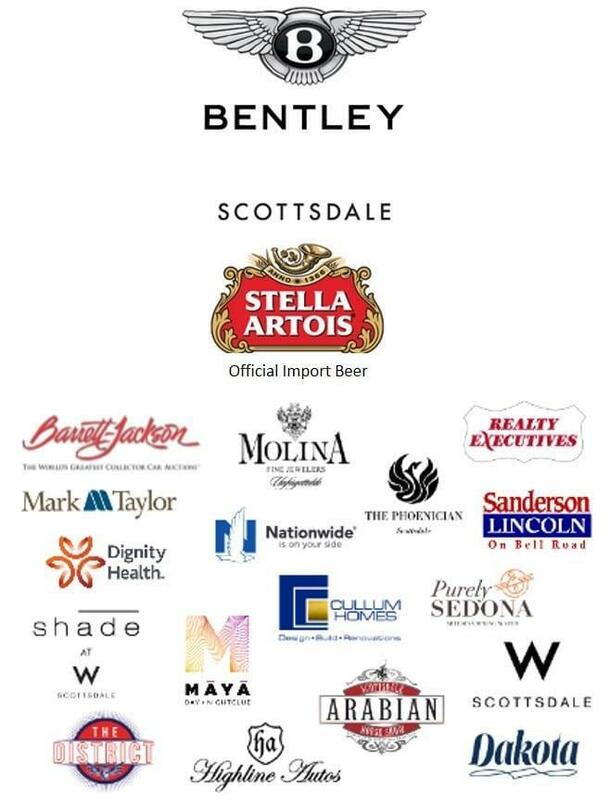 Thank you for all you have done to make the Bentley Scottsdale Polo Championships what it has become. Tickets and tents in all categories are on sale now at ThePoloParty.com! General Admission, including access to all polo matches, general admission tents, car displays and The Cultural Concert, start at just $20. New this year too are “Twilight Tickets” if you can’t join us until later in the day. All table purchases in the Molina VIP Lounge, the Barrett-Jackson Champagne & Jazz Lounge, and the ArtPolo Pavilion will include a bottle of Veuve Clicquot Champagne.